While there was no new iPhone SE introduced during Apple's spring event this year, the original is getting a bit long in the tooth. So the company is clearly working on a successor for the model released last year. And the new iPhone SE may in fact be outed as soon as next month, during Apple's developer conference. At least that's what a new leak from China claims. It also purportedly shows us what the back of the 2017 iPhone SE will look like. 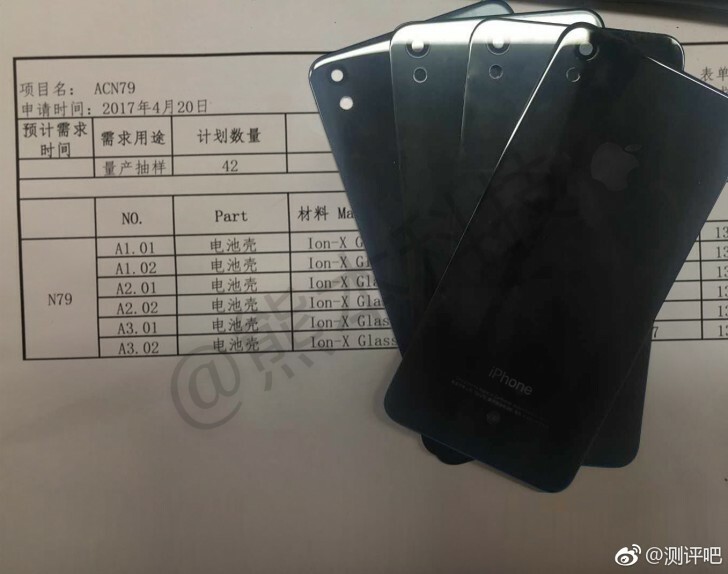 If this is a truthful leak, then what's obvious is that Apple will switch from metal to glass for the new model's back. What's more, it may be using Ion-X glass, the same material that adorns the Apple Watch Sport, according to the writing inside that table on the sheet of paper that lies underneath the alleged SE (2017) shells. The camera and flash are now aligned vertically on the back, switching from the horizontal layout seen in the original SE. Other details about the second-generation iPhone SE have sadly not been outed this time around, so its internals are still a mystery. However, Apple's WWDC starts on June 5, so if it will indeed be presented there, then we're very close to finding out all there is to know about it.